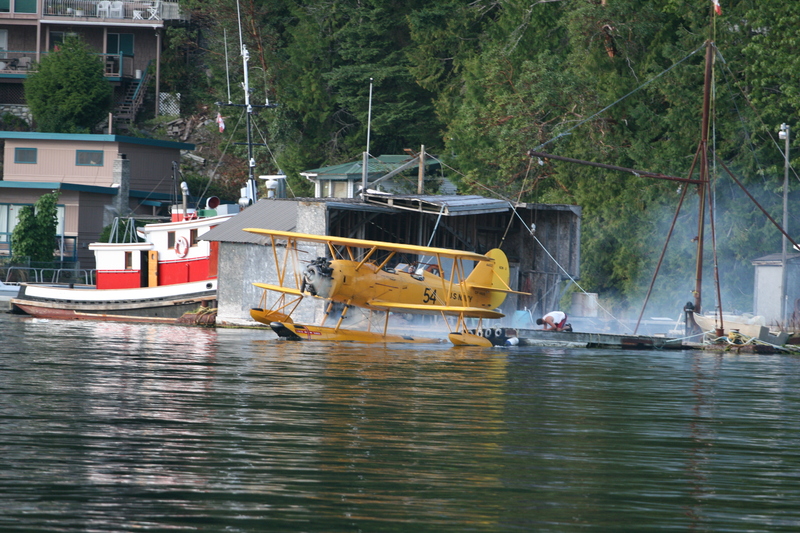 For a long time, Hospital bay, which is one of the bays in Pender Harbour, housed a plane, a bright yellow water plane, a US navy 1942 biplane,the N3N, owned by Bill Thompson. 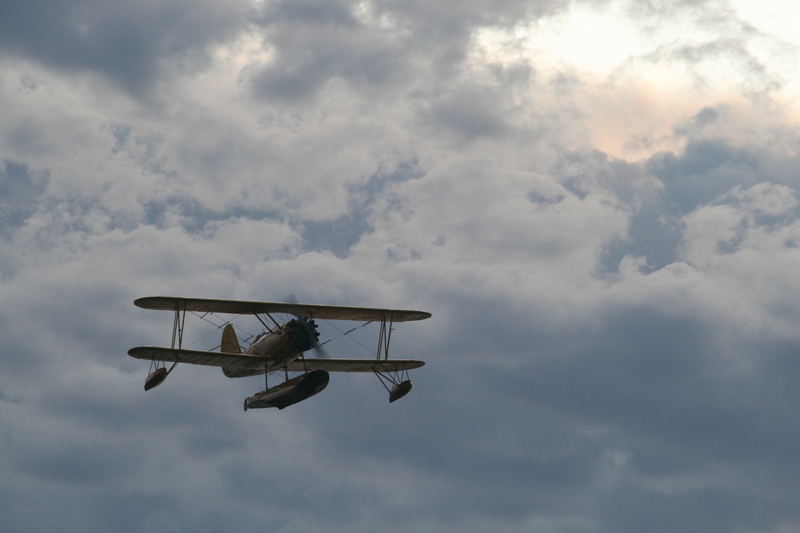 Bill used to fly this plane every summer, and in 2009 i was fortunate enough to watch him take off and perform, with his grandson in the passenger seat!!! 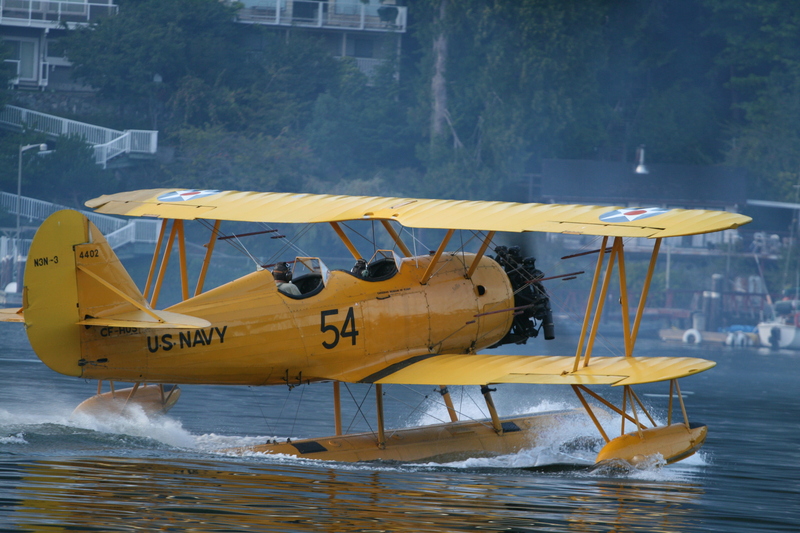 Bill flew the plane for the first time on October 11 ,1991, he bought the plane in 1979 for $ 7000, and he completely rebuild it in the next 12 years. 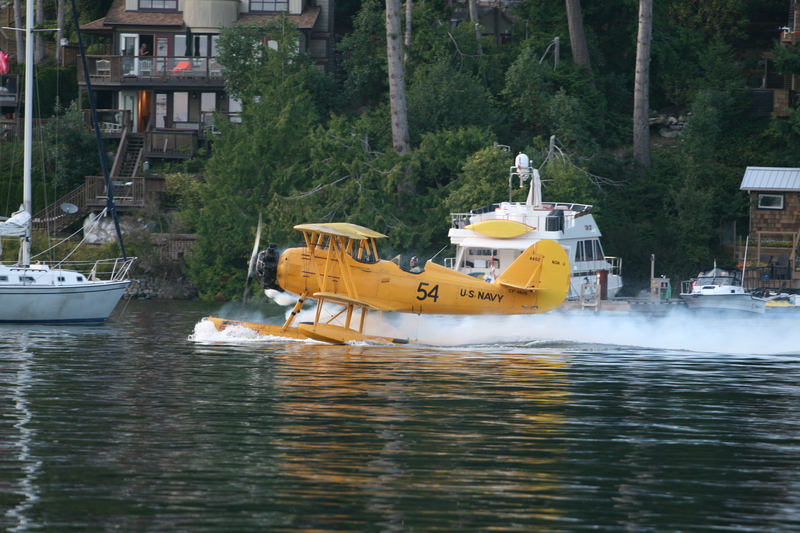 After that he flew the plane every summer, and did acrobatics in the air above Pender Harbour. 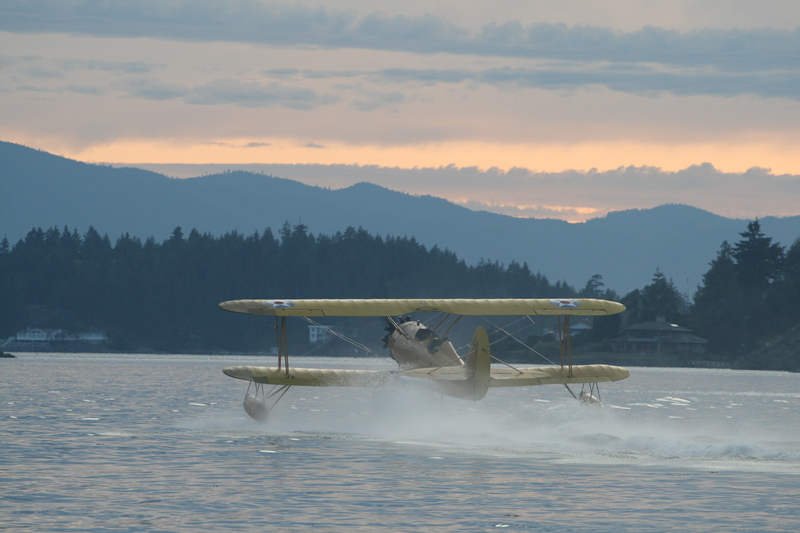 Bill died this year in February, and in June, his son Garry lifted the plane off its perch on the dock,into the water , using his boat “closing time”. 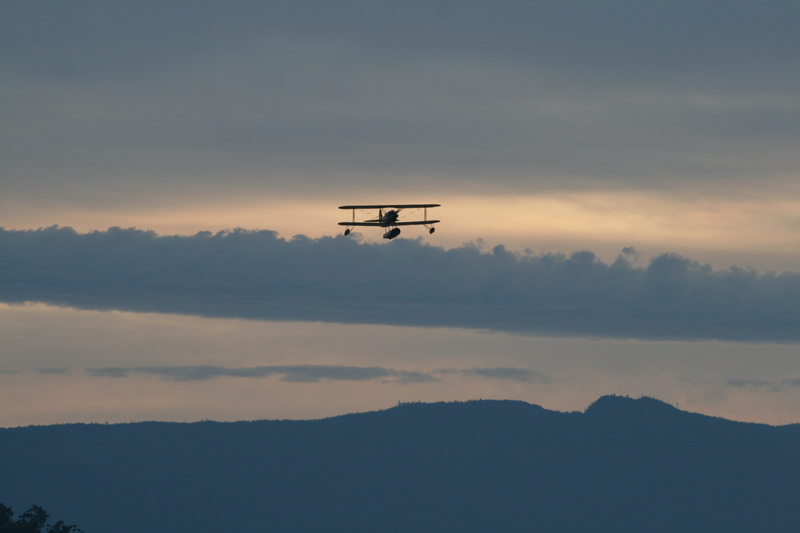 Garry flew the plane for a final fly over and did some test landings and takeoffs, before leaving for Pitt Meadows, where it will be shipped to Yellowknife. here are some photos of when i watched Bill perform. Bill taking off from Hospital Bay.